MainAll NewsInside IsraelFire prevention, or timber plundering? Fire prevention, or timber plundering? Thousands of trees surrounding Jewish towns cut down this week, raising ire of residents. Authorities claim intention is to prevent fires. Residents of the Judean towns of Kfar Etzyon, Rosh Tzurim, Alon Shvut and Bat Ayin, all in the Gush Etzyon region, were shocked this week to observe large-scale deforestation operations being conducted around their towns, with large amount of trees being cut down by the Civil Administration of Judea and Samaria, according to an NRG report. Civil Administration representatives claim that the deforestation is being conducted according to directives from the Fire and Rescue Authority and the Jewish National Fund (JNF - KKL) to prevent forest fires, but the local residents say it's a completely unnecessary destruction of the forests done for the purpose of selling timber for profit. "They claim they're just making the forest more sparse to avoid fires, but when you do that, you just cut down the weak trees," said Lior, of a nearby farm, "here, they're cutting down the strong sturdy trees, because they yield more timber. They're doing business on our backs and at the expense of our forest." Last night (Wednesday) Yaron Rosenthal, principle of a school in Kfar Etzyon wrote a fuming post online, with pictures of the tree-cutting. "Today we discovered that over the past week the Civil Administration cut down thousands of trees, with 80% of the trees gone in many areas," Rosenthal wrote, "these are forests planted by the pioneers of Gush Etzyon 50 years ago, and we used to play in them as kids, and have picnics and parties in them when we were teenagers. "When we asked the Civil Administration why they're doing this they said that it's to prevent arson, because if there are fewer trees it's more difficult to set the forest on fire. While we aren't experts on these matters, it seems to us that the way to prevent arson is to arrest arsonists and create small 'fire-paths' through the forest, not cutting down most of the trees in it." 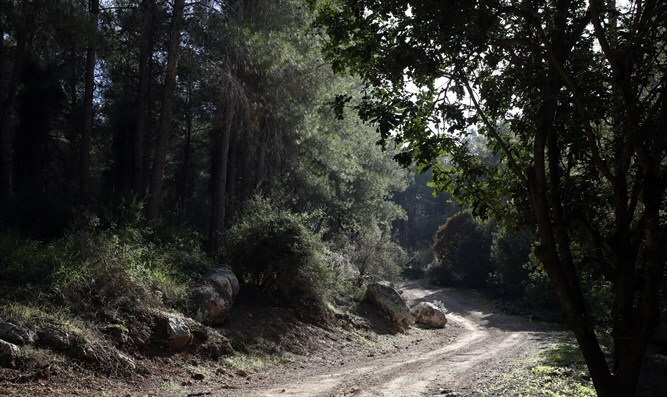 The Civil Administration of Judea and Samaria said in response to the complaints: "The Civil Administration invests hundreds of thousands of Shekels and hundreds of work hours in planting trees and maintaining and improving the forests, paving paths and installing benches. The current process of tree-cutting is part of a larger organized plan in coordination with JNF professionals. This is an operation conducted once every few years. Similar things are done in many forests around the country and the world. "We wish to note that in certain areas, there is a need for more deforested area, especially near population centers, due to fire concerns. This is part of the new directives stemming from the lessons learned from the  Carmel forest fire disaster. In light of the complaints, a survey will be conducted in the area tomorrow to ensure that the operations are being conducted in accordance with the directives."